Energy today has turned into a key factor in choosing the item cost at small scale level and in addition in managing the inflation and the debt burden at the full scale level. Energy audit is the most cost effective way to reduce energy costs. Energy cost is a significant factor in economic activity in monetary action at standard with variables of generation like capital, land and work. 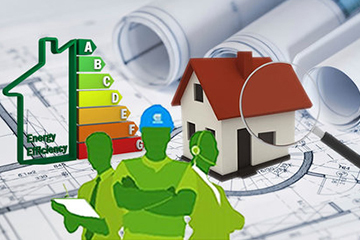 Energy Audit attempts to adjust the total energy inputs with its utilization and serves to distinguish all the energy streams in the systems and quantifies energy usages as indicated by its discrete limit. Our energy audit helps in energy cost optimization pollution control, security perspectives and recommends the strategies to improve the operating & maintenance practices of the system. Detailed analysis of energy consumption and use, relative to industry benchmarks. Collection of data for energy review/monitoring purposes. Examination of metering systems and recommendations to address data gaps. Execution of measures for energy conservation & realization of savings.